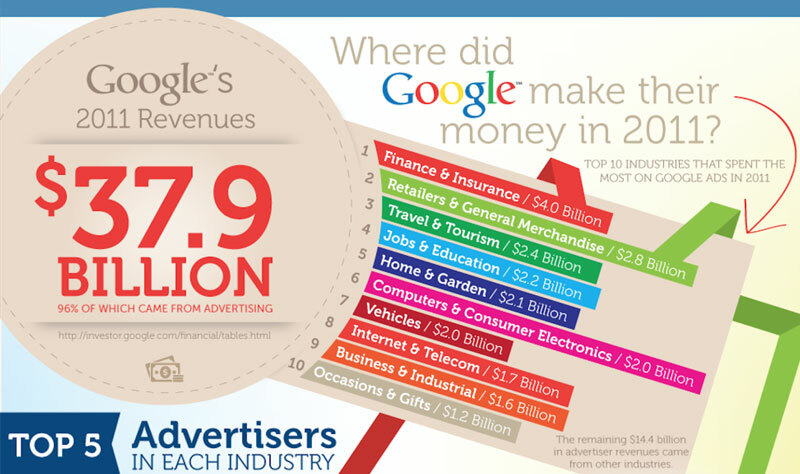 Have you ever wondered where Google make its money and how it becomes a tech-giant when most of us uses it for free? Have you ever why some people can be a blogger or YouTuber as a full-time job, travel around the world and always hold the latest gadget? Is there really free lunch in the world? Gone are the days when you have to remember a web name by heart, instead you search for any word that comes into your mind using search engines. In an instant, results displayed are relevant and engaging. Behind the scenes, every search term triggers a complex algorithm to rank web pages accordingly, filtering out annoying spams and malicious websites at the same time. Certainly, it requires technical expertise, concerted effort and resources to do it. So, at which stage of this seemingly “simple” process did they start to profit? They profit from billions of searches made through their search engine. While it may not seem obvious, YOU are their greatest asset. When e-commerce first begun to take flight, companies start to realise whoever appears on the first page Google, customers starts to trickle in and business grew 24/7. Suddenly, every company vies for the top spot in Google. Unfortunately, there is only one top spot, the competition soon became stiff. When top dollars are put into it, marketers try to profit by rolling out a service named “Search Engine Optimisation” (SEO). SEO is a white hat approach that reverse engineer the components of Google’s complex algorithm while trying to score them, in hope for a higher ranking. SEO is only for companies with a considerable budget because efforts usually come to fruition months later. There is also black hat approach of buying clicks and all sorts of illegal activities that costs Google to block out. Yet, as weird as it seems, none of these money goes to Google because they have to keep their algorithm a secret and remain impartial with search results. Simply put, if they were to sell page ranking to companies, no one would use Google anymore. Here comes the Billion Dollar Question: How should they sell quality traffic to interested companies of all shape and sizes without sacrificing user experience? Advertisements are based on the reach of audiences. For Google, the audience was their daily users. What if an individual were able to reach out to millions of audience? Better still, targeted audience? Meet Felix Arvid Ulf Kjellberg, or commonly known as PewDiePie. He was crowned the highest earning Youtuber of all time with an estimated income of $12 million. As of September 2015, his channel has reached more than 10 billion views. PewDiePie is famous for his Let’s Play videos, in which he runs through a game whilst providing his own opinions, often coupled with over-the-top reactions. He refers to his fanbase as “Bro army” and individual fan as “bro”. However, if you think this path is all fun and glory, you couldn’t be more mistaken. PewDiePie dropped out of college to focus on his YouTube channel much to the chagrin of his parent, forget about any support. It requires immense time, effort and commitment to publishing well thought-out content regularly and interact with your audience, not to mention buying decent equipment for video and voice recordings – all knowing it just might go unappreciated. P.S: For those who needs SEO, Adwords management or anything related to online marketing, feel free to drop us an email. We have had some readers asking for advice for their online business and we offered them for free! Or you could find out more here.